Just realised that Toulouse are playing Connacht the same weekend have booked flights to and from Toulouse via London arriving Saturday morning at 10 leaving Sunday night at 21.45. Can't make a Friday game so am bound to see at least one if not both matches ?. That has the potential for an excellent weekend. Grumpy Old Man wrote: That has the potential for an excellent weekend. Yep been in Castres the last three times even if our game is on Friday and I miss it will still get to the Connacht one so can't loose. I guess it all depends on the scheduling. Last time I was in Castres and Toulouse were also playing at home that weekend. Only problem was the Toulouse game kicked off about 20 mins after the Castres v Leinster game finished. nc6000 wrote: I guess it all depends on the scheduling. Last time I was in Castres and Toulouse were also playing at home that weekend. Only problem was the Toulouse game kicked off about 20 mins after the Castres v Leinster game finished. There have been no Friday games in Round 6 of the Champions cup for the past two seasons. As it is the last round, they usually play both matches in each pool at the same time. Afaik, the past two seasons have seen three pools being played out on the Saturday (lunchtime, afternoon and evening k.o. times) and the other two on the Sunday (lunchtime and afternoon k.o. times). I think the Castres v Leinster game and Toulouse v Connacht game need to be on different days to have any chance of comfortably taking in both. Thanks for the info obviously will be at our game first, arrive in Toulouse Blagnac at ten on the Saturday so it would be a push to make it for a game in Castres at one, but will deal with that when I come to it. Have provisionally booked accomodation in both on the Saturday night just in case the games are on Saturday and Sunday. The ideal for me would be Saturday evening for the Castres game and Sunday afternoon for the Toulouse game. Will also be attending this game - does anyone know when the date\time will be announced? Seems pretty daft that it is still not available. El Presidente wrote: Will also be attending this game - does anyone know when the date\time will be announced? It is normally announced after next weekend, the try and shape the fixtures to suit the TV companies and have no consideration for the traveling supporters who they don't consider at all. My hope is that the Game v Castres will be in the evening on Saturday and the Toulouse v Connacht game will be on the Sunday in Toulouse. Fully intend to go to both if humanly possible, have provisional bookings in Toulouse and Castres on the Saturday night. Castres tends to fill up quickly so it is well worth provisionally booking somewhere to stay there. Thanks footrush. Would be great if we could hit both matches. I was in Toulouse last season for Toulouse-Ulster, nice city - shame that Le Stade is in the equivalent of Balbriggan though! El Presidente wrote: Thanks footrush. Would be great if we could hit both matches. They have two grounds only ever been in the municipal was there in 2006 fantastic game and also a few years later on a day when it lashed rain, never been in the clubs own ground ?. Should know this by now, how long after this weekends games did they announce the fixtures last year am hoping to get lucky and see our game as well a Connachts ?. am heading over for this one, but have no idea about match tickets. given castres could be out by tmrw, would tickets be available on the day at the ground? Unlike say Perpignan or Clermont where you can walk to the ground from the city centre with the opposing fans. It is a bit of a buzz-killer. Although Ulster did beat them, which made it a decent trip anyway. I'd recommend getting a taxi out for any fans to avoid all of the above nonsense. Handy to know will factor that in, wonder when the venue and times are being announced ?. Hotel rooms snagged in Castres for the Friday night at the somewhat Fawlty Towers-looking Renaissance Hotel. 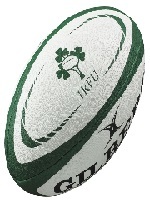 Onwards to Toulouse on the Saturday for cassoulet, thence to the Connacht game Sunday afternoon. The scheduling couldn't really have worked out any worse but screw it, this is a unique opportunity to support two Irish teams in a single weekend. The OLSC is running a bus to cover the Friday and Sunday Ryanair flights - €30pp return. Question: will the supporters club be handing out flags at the game? Would like to register a visual presence as well as a vocal one.